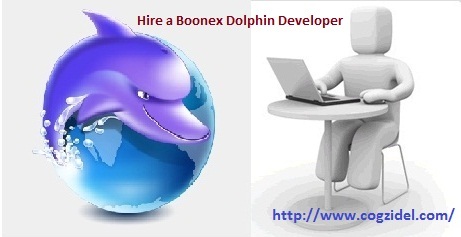 Why hire a Boonex Dolphin Developer? As you all might be aware of, boonex dolphin serves to be an excellent platform for building social networking sites. As it carries multi support features and you get complete unencrypted php source code, it is one of the most advanced free community software available in the web world being chosen by loads of customers. You can hire a boonex dolphin developer professional that can help you with your boonex dolphin development projects and make your site’s online presence unique and custom friendly. Any company / customer who intend to build a community site for his concern needs to draft a plan including the type of design you are interested in, the theme, the keywords which need to be included so that the site built is impressive and search engine friendly. This is the part where the skilled developer’s expertise in boonex dolphin plays a crucial role. As they will be available online most of the time in a day, the communication of the hired developer with the client will be much quicker and easy, which plays a crucial role in the velocity of the project. We have discussed few of the reasons that might prove to be rewarding when you hire a skilled boonex dolphin developer for your custom work. When you decide to hire one of the best dedicated boonex dolphin developers, you will need to review the past projects based on boonex dolphin software as it speaks for the quality of work served by the developer. Once you hire the right dedicated boonex dolphin developer for your custom work, you can be rest assured that the project would be developed from the development center for a cost effective solution. As you will be always connected to your chosen developer via e-mail, telephone, mobile phone, online communication messengers such as skype, msn and so on, you will be holding complete control over the entire software development process in regards to the project requirements. You can hire the developers who are well versed in the latest trends in the social web app development on hourly / weekly / monthly or on project basis according to your needs at an affordable cost and proceed further for an effective result. As daily and weekly reports about the project will be updated by the developer to the client, you can review the work every day to make sure that the project development is on right on track and heading in the right direction. Cogzidel Technologies filled with a pool of skilled boonex dolphin developers are handling the boonex dolphin integration, boonex dolphin theme design, boonex dolphin template design, and much more by adopting a professional approach and completing them with ease for a nominal cost. They assist their customers in customizing the social engine site to meet their business specific needs. If you are looking to set the right look for your dolphin site, you can hire a dolphin programmer / developer by contacting our support team and proceed further.